Management of the University of Education, Winneba (UEW) has officially renamed the Faculty Block at the University’s North Campus Faculty of Social Sciences Education. This was made possible after members of the Faculty held a series of meetings with Management to consider giving the building a new name. 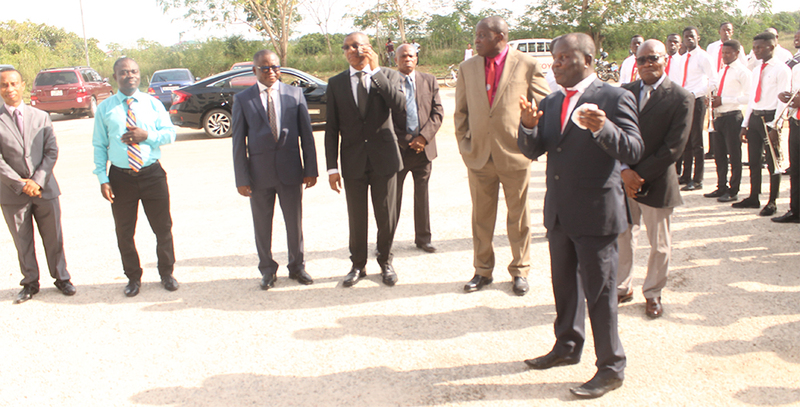 Present at the renaming were the Chairman of the Governing Council, Prof. Emmanuel Nicholas Abakah; Vice-Chancellor, Rev. Fr. Prof. Anthony Afful-Broni; Pro-Vice-Chancellor, Prof. James Kagya-Agyemang; Registrar, Surv. Paul Osei-Barima Esq. ; Ag. Finance Officer, Mr. Bruno B. B. Chirani and Members of the Faculty.